Products – Cameras – IA-NEOS15 – Team Research Inc. Responsive 15.6 Inch Touchscreen and multimedia built-ins bring Android apps to life; sleek design features multi-angle screen orientation. 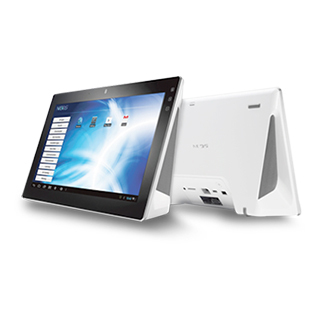 Neos features an all-in-one design with a 15.6 inch display boasting a unique 10-point multi-touch touchscreen. The sleek hinge design also allows the user to set the screen to the orientation they choose from vertical & horizontal for comfortable use either sitting or standing. Equipped with the powerful TI OMAP4430 1GHz Dual Core processor, the Noes provides smooth, lightning-fast computing. The Neos smart display with full Google GMS certification provides instant access to Google Play store and thousands of current Android apps. In addition, for shared use, each individual in the home can have their own folder with their preferred apps and content. Versatile connectivity options include USB port, SD card, Ethernet, Wireless and Bluetooth network connections provide instant access to transfer data, documents, and multimedia files. Neos is designed with two high quality Onkyo 5-Watt stereo speakers built in and an audio jack to connect a smartphone, mp3 device or other music source transforming Neos into an external speaker. For video calling or social media, Neos also includes a built-in 5M pixel camera with HD quality, auto-focusing and a unique tilt function for improved viewing angles.